Yasya enjoys her day while playing on the inflatable playground ad you can see in this baby song video. 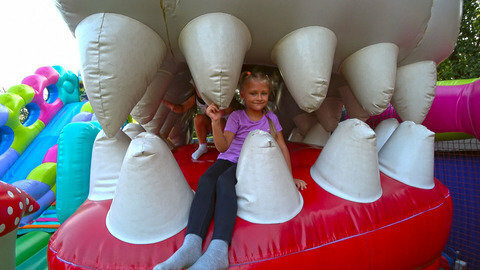 She jumps endlessly on the inflatable playground and plays with the huge inflatable flowers, mushroom and dinosaur mouth. Lastly she dances and bounces on the trampolines while the song Yup Yup Yup and Five Little Monkeys play in the background. Watch the many ways on how she enjoys the inflatable playground by going to SeeZisKids.com.